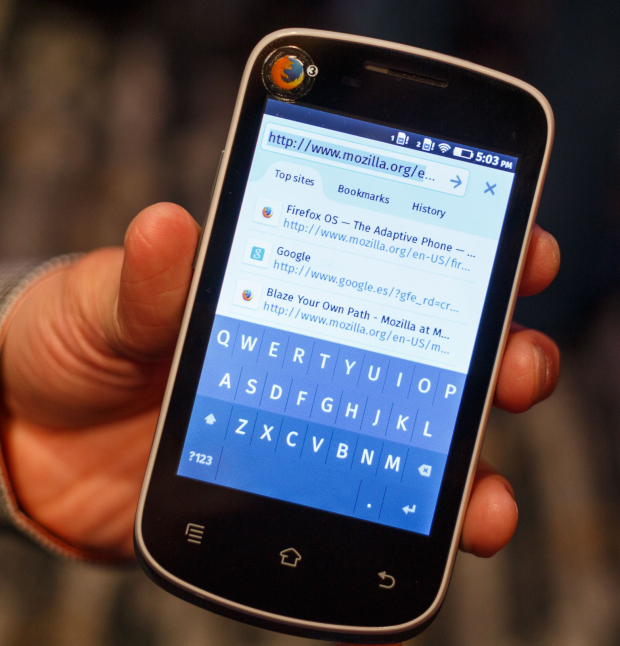 At MWC 2014 in Barcelona Firefox revealed its first handheld device created by Spreadtrum that will cost just 25$. The Spreadtrum SC8621 is a low-end device and isn’t meant to compete with for example Apple’s flagship smartphone the iPhone 5S. It is very interesting to see how Spreadtrum has created this cheap device, Firefox OS is a linux and HTML based OS that requires very little power in order to run smoothly. Spreadtrum has created what essentially is a 25$ all-in-one motherboard with CPU, RAM and Camera but not the housing of the smartphone. Spreadtrum and Mozilla are planning on making this 25$ “motherboard” available to other smartphone manufacturers which then can then put their own design and add new features to it, with this, Mozilla is looking to become the dominating OS in the low-end smartphone market, several people confirm to AmongTech at the MWC. The price may vary from manufacturer to manufacturer but it will be very unlikely that we see a device with this motherboard cost more then 50$. In 2014 many China and Indian based manufacturers are expecting to release a “low end Firefox OS running device” with the Spreadtrum all-in-one motherboard among the brands rumored are Huawei (which has already introduced a higher-end device of their own running Firefox OS) and brands like ZTE.